Even before this latest redesign, the RAV4 was hot. According to Toyota, the 2018 model closed out its tenure not only as the company’s best-selling vehicle, but as the best-selling non-pickup in the country. And almost without question, the 2019 RAV4 is even better. Toyota’s RAV4 was one of the original “cute utes” when it arrived for 1996, and it’s now entering its fifth generation. Fractionally shorter on a 1.2-inch-longer wheelbase, the redesigned 2019 model remains a 5-passenger wagon that sits about mid-pack in terms of size for the compact-crossover class. Notably, ground clearance has been increased by 2.3 inches to 8.4 inches on lower-line models, 8.6 on higher-line models with larger wheels. 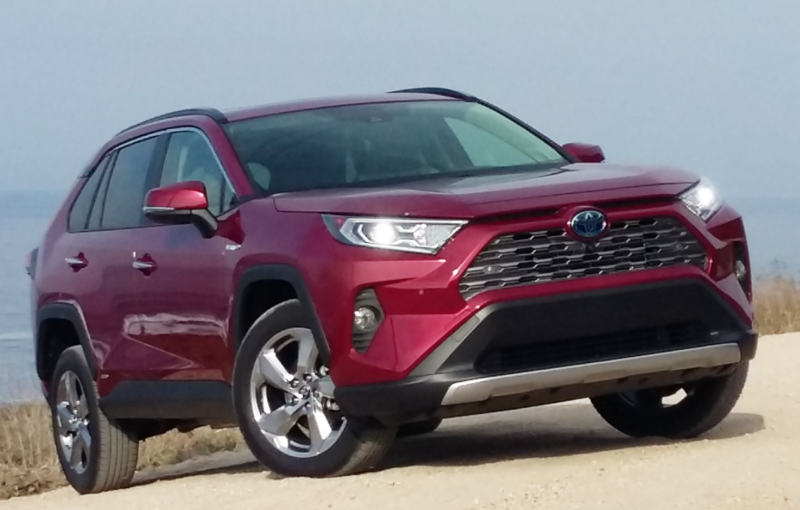 Although about the same size as before, the RAV4 now has 2.3 inches more ground clearance, measuring 8.4 inches on lower-line models, 8.6 on higher-line versions with larger wheels. As before, the 2019 RAV4 comes in “gas” and Hybrid versions, both powered by a 2.5-liter 4-cylinder engine. In gas models — which are offered in front- or all-wheel-drive form — it puts out 203 horsepower and is mated to an 8-speed automatic transmission. In Hybrid models, which come standard with all-wheel drive, it pairs with three electric motors to produce a combined 219 horsepower and comes with a CVT automatic. EPA fuel-economy ratings for front-drive gas models are 26 city/34 highway/29 combined, with all-wheel drive dropping the highway number by one. (High-line models drop all numbers by two.) 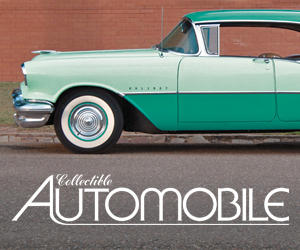 Hybrids are rated at 41/37/39, so a notable 15-mpg better in the city. 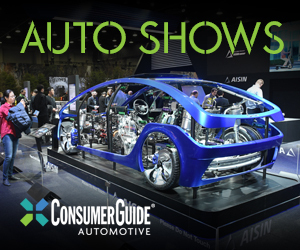 Gas models are offered in LE, XLE, XLE Premium, Adventure, and Limited trim levels. The off-road-oriented Adventure comes standard with AWD (which is optional on all others in place of front-wheel drive) and offers hill-descent control. Adventure is unique in the lineup in having a distinctive “truck-like” grille, along with special interior and exterior trim (including an optional white roof), additional instrumentation, and an available cargo-area 120-volt AC (household current) outlet. It also offers a 3500-lb towing capacity vs. 1500 lbs. on other gas models. The off-road-oriented Adventure model gets a distinct grille fashioned after those worn by Toyota’s trucks, along with unique orange interior accents. It also boasts added off-road features and a 3500-lb towing capacity, at least twice that of other models. Hybrids are offered in LE, XLE, XSE, and Limited trim levels, all with standard all-wheel drive. The XSE is exclusive to the Hybrid, and with its standard sport-tuned suspension, is promoted as the line’s “sporty” model. All Hybrids have a 1750-lb towing capacity. In both gas and Hybrid versions, all but the LE offer additional features in option packages, though LE offers a few individual options. On all front-drive gas models, opting for all-wheel drive adds $1400. On top of that, moving to a Hybrid – which comes standard with AWD — adds $800. Prices start at $26,545 (including $1045 destination) for the well-equipped front-drive LE and range up to about $40,000 for a fully loaded Hybrid Limited. 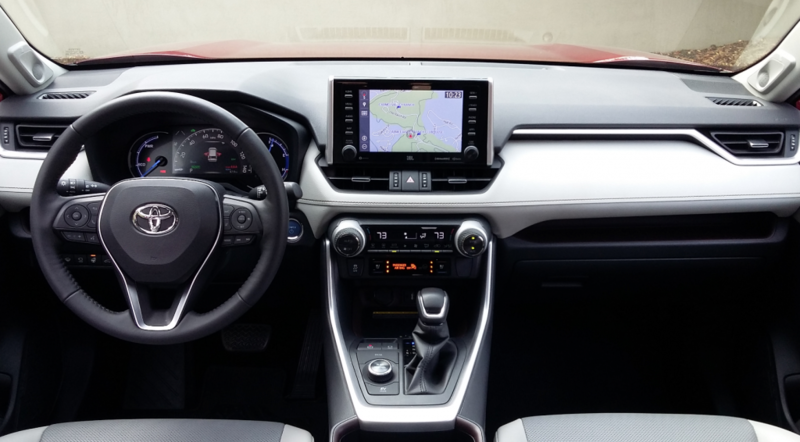 Notable standard features on the base LE – many of them new for 2019 – include a 7-inch touchscreen, Apple CarPlay with Waze capability (no Android Auto yet), Amazon Alexa capability, Safety Connect telematics, Toyota Safety Sense 2.0 (which includes forward collision warning and mitigation with daytime pedestrian and cyclist detection, lane-departure warning/mitigation, lane keep assist, full-speed adaptive cruise control, automatic high beams, and road-sign assist), and LED headlights and taillights. Options for the LE include blind-spot and rear-cross-traffic alert for $590. Left to right: New features for 2019 include rear-seat heat and a/c vents, a rearview camera whose image can be displayed in the rearview mirror, road-sign assist that can read speed limit and other signs, and a large, dual-pane panoramic sunroof. Many features offered on higher-line trim levels are also new for 2019, and include a panoramic sunroof, Qi wireless charging, Entune 3.0 infotainment system with navigation, 8-inch touchscreen, JBL sound system, satellite radio, wide-angle (180-degree) backup camera, 360-degree camera system, rearview-mirror camera, auto-dimming rearview mirror, Homelink transmitter, up to five USB ports (four being charging ports), dual-zone climate control with rear-seat vents, heated and ventilated front seats, 8-way power driver seat with lumbar adjustment and memory, heated rear seats, heated steering wheel, keyless access and starting, foot-activated power liftgate, adaptive headlights (Hybrid Limited), blind-spot and rear-cross-traffic alert with automatic braking, rear obstacle detection, rain-sensing wipers, wiper de-icers, and 19-inch wheels. While there were no base LE models at the preview in California, we got a chance to drive higher trim levels of both gas and Hybrid versions. Without question, the Hybrids have a sportier driving feel, at least in terms of acceleration. While gas models provide a decent full-throttle jump off the line and good kickdown response after stabbing the throttle at speed, the Hybrids are notably more spirited in both scenarios. Toyota quotes a 7.8-second 0-60-mph time for the Hybrids, which is fairly quick for the class, and they feel every bit that fast. 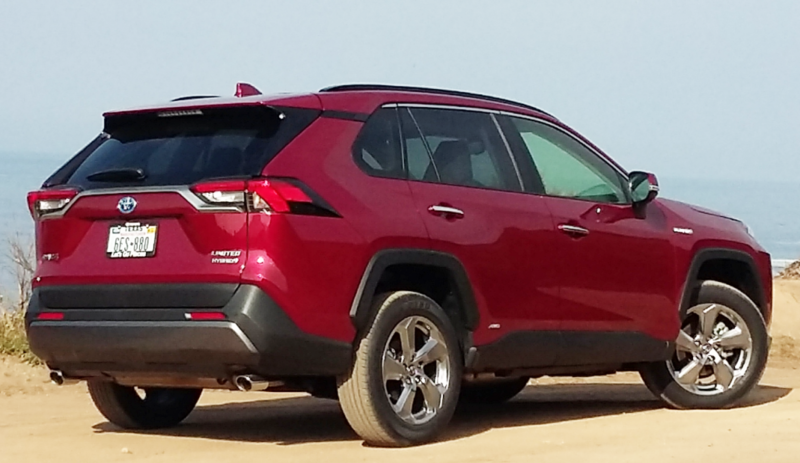 This nearly instant throttle response combined with a huge fuel-economy advantage make the Hybrids stand out, not only among RAV4s, but among compact crossovers in general. Ride comfort was rather difficult to judge on the smooth California roads, but while a bit on the firm side, it was compliant enough, though the off-road Adventure and sporty Hybrid XSE felt a bit stiffer. Higher-line models, at least, offer plenty of padded surfaces and two-tone color combinations. Interior storage ranks as above average, with notable “extras” being a wide tray above the glovebox, a large forward console bin under Aux/USB/12-volt plugs, and a left-side dash tray. Higher-line models include another two USBs in the console box. The audio systems on tested models featured volume and tuning knobs along with eight physical buttons, all except those to the far right being within easy reach. My iPhone-wielding drive partner (I’m an Android guy) appreciated the fact that the 2019 RAV4’s version of Apple CarPlay supported Waze, which not all do. Climate controls consist of rotary temperature knobs but less-convenient repetitive-step pushbuttons for fan speed and mode, though all are easy to reach. Headroom and legroom in front are good rather than great, but models with the 8-way power driver seat include a tilt cushion (potentially a real comfort plus) and power lumbar adjustment, and shorter folks might appreciate that the seat can be raised quite high. Also nice are the available heated steering wheel and heated/ventilated front seats. In back, 6-footers should find enough headroom, and my 5’9 frame fit easily behind a fully rearward front seat. On tested models, there were two USB ports and reclining seat backs, and new for 2019 are rear-seat heater/air conditioning vents in the back of the console. Heated rear seats are optional on Limiteds. Folded rear seat backs leave a flat load floor, but note that RAV4s with the optional JBL sound system have a speaker mounted in the left-side cargo wall (shown) that takes up a bit of lateral space. While there’s very little underfloor storage, there is a handy slot to carry the cargo cover. One of the draws of crossovers is cargo room and versatility, and the RAV4 doesn’t disappoint. There’s the rather expected cubic cargo space and rear seat backs that fold level with the cargo floor. But among the nice touches are that the rear-seat headrests don’t need to be removed in order to fold the seat-back down – even with the front seat moved far rearward – and though there isn’t much underfloor storage, there is a wide slot to store the cargo cover out of sight. Furthermore, upper trim levels offer a hands-free power liftgate. Note that the optional JBL sound system includes a speaker that fills in what is otherwise a cove in the left-side cargo wall that might be needed for a golf bag to lay sideways. Certainly the last-generation RAV4 was a stand-out vehicle for Toyota. But with the 2019 redesign, it’s likely destined for even greater success. More adventurous body sculpturing along with a host of new features will likely serve to further increase the 2019 RAV4s appeal to buyers. Based on our test drive and the EPA figures, the Hybrid (a Hybrid Limited shown) stands out for its combination of terrific throttle response and impressive fuel economy — particularly since it costs just $800 more than a comparable AWD “gas” model. Written by: Rick Cotta on November 23, 2018.